African American beauty, with a mixture of Puerto Rican in her bloodline- Kelly Blackwell (I_Nailed_it) gives me a vigorous burst of womanly inspiration. 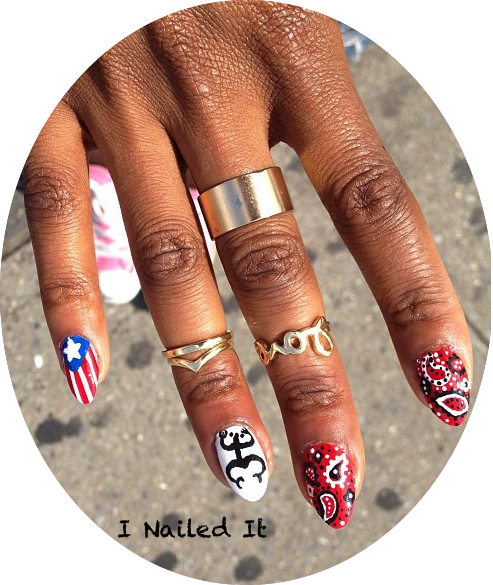 Stable as a Bronx resident, Kelly maintains a precious and humble nature (but please don’t sleep): her nail creations are merciless in the sense she is able to express herself boldly with her nail designs. I began doing nails as just a hobby about a year and a half ago. It was only a past time for me until I did my first event where it made me take my craft/hobby a little more seriously. Once the business cards were printed, it was serious business! LOL! What good things have the nail gods brought to you this season? This season it has been rather slow because it’s getting cold but the past seasons the nails gods have really blessed me. I’ve done numerous events with Diana Long (founder of Diosa Nail Polish), I’ve worked with Adidas, and I recently did nails at; Falguni & Shane Peacock fashion show (for Fashion Week) to name a couple. 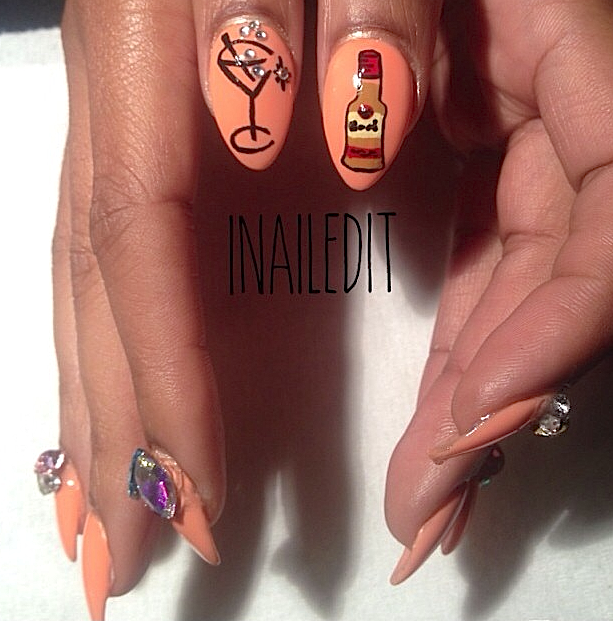 In July, I also started working at nail shop, Pink Shisha in the Bronx. Other than being a nail tech, you are also a student. What school are you currently enrolled / choosen major? 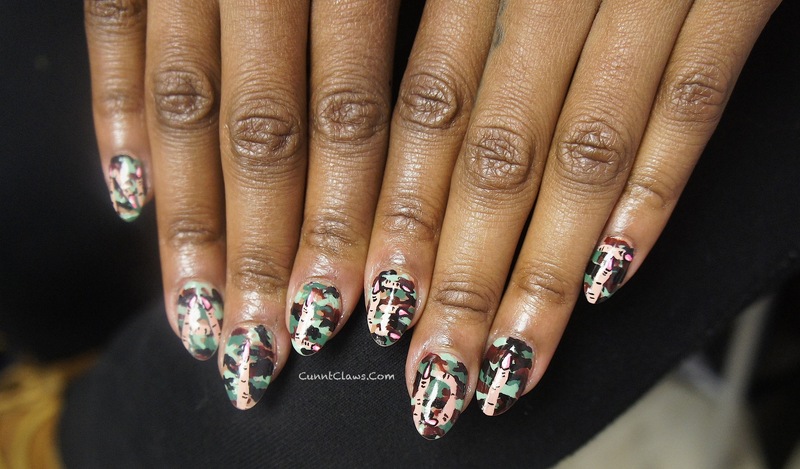 Do you want to pursue doing nails after or is it just a hobby for now? I believe right now doing nails is not a career path for me per says, but it is more than just a hobby. I like the idea of working a “normal” job and being able to create nail art as well. I have a normal 9-5 job at a hospital…and my coworkers as well as the patients like to see my nail art. I consider it a talent that I have that allows me to step outside of the norm once in a while. 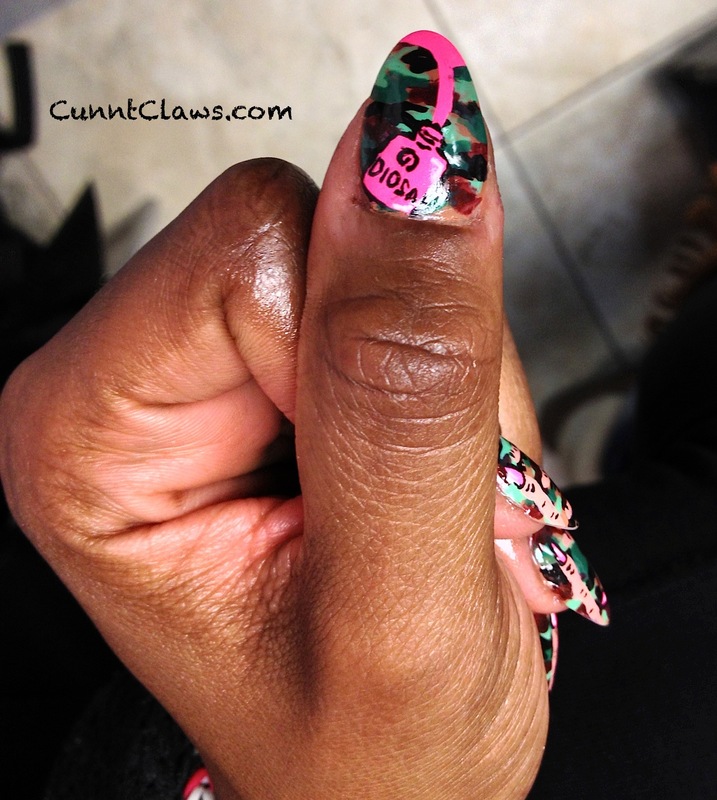 Why do you like nail art? The infamous question! I enjoy nail art because it puts me at peace. For that hour(s) that I’m doing my own nails or someone else’s, I get to just focus on what I love. I like to see my client’s reaction when I’m finish which is always the best. 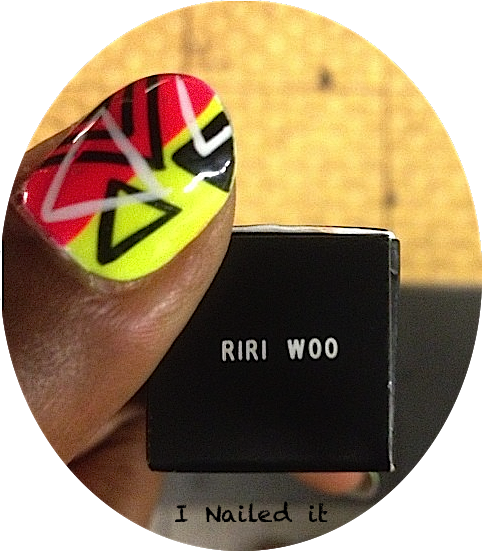 Nail art also allows me to be creative, its not just black and white (literally!). 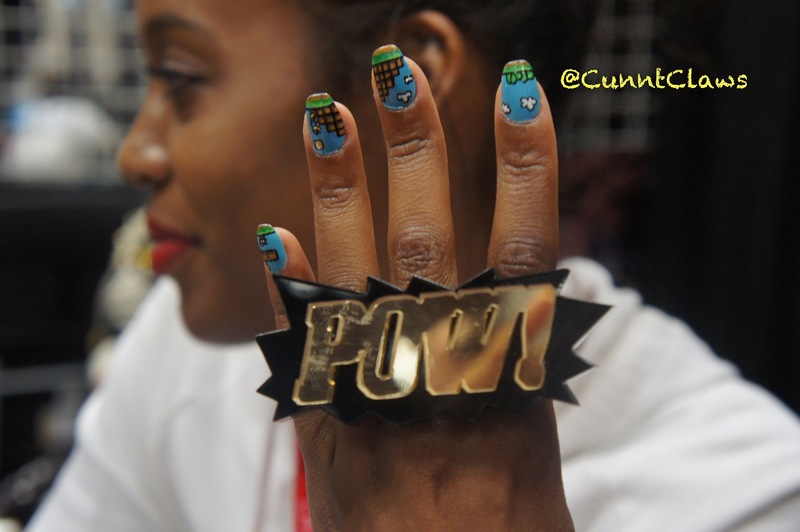 You do all of your own nail art designs. Tell us the (least to most) time spend doing your own nails? I do! Depending on the design, creating it can be anywhere from 1 hour the least to about 3-4 hours the max. It can be intense at times. LOL! Eventually, what do you want to benefit from doing nails? One of the benefits of doing nails is definitely the exposure. I have been lucky to work with some of the best nail artists from NYC and I have learned so much from them. We’re a small elite group, that has overtime become like family. That’s the best benefit. I actually don’t have a favorite nail polish to use but I do own a lot of; Diosa Polish, Brucci, OPI and Floss Gloss. It’s mostly about finding that perfect color I’m looking for. As a nail artist, what would you like to see more of in from the industry? I would like to see nail art go more main stream and not just looked at as a trend, because it is just like; music, fashion, etc. It continues to evolve. And with all the new and wild things I’ve seen done to a nail, there is no way it will just be a thing of the past! One habit you can’t go a day without doing? I would have to say liking some sort of nail anything on Instagram! I follow a ton of nail artists/enthusiasts pages and I love to see what people are creating or liking at the moment. I personally prefer an almond shaped nail. It’s a little edgy while still remaining classy. How do customers response to getting manicures at, Pink Shisha while smoking hookah? Customers that come in to get nail services love the idea of hookah being served as well. They can’t believe a place like, Pink Shisha even exists. Hookah has become the new craze, so who wouldn’t want to relax and smoke hookah all while getting there nails or feet done at the same time? It’s genius! 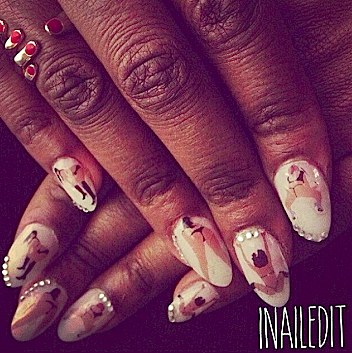 Do you see yourself being, 63 years old with nail art on your nail? Uh, hell yea! I feel nail art are like tattoos. Although they aren’t permanent, it’s something that will never go outta style. I foresee a lot of tattooed, nail art lovers, and colorful senior citizens in our future. 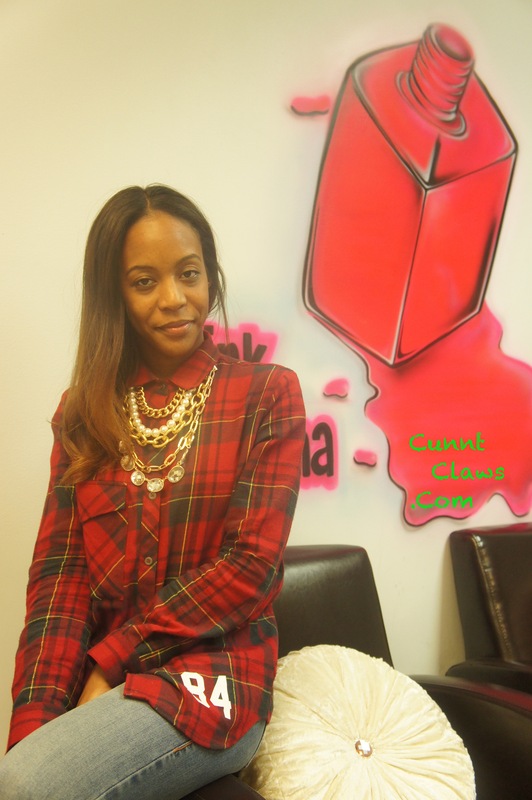 From keeping it wavy on the nail art scene to sharing her creative talent conducting “Nail Art Classes” to other who wishes to become nail artist themselves- you can now catch, Kelly Blackwell currently at the “ultra girlie” hookah nail shop, Pink Shisha. Make sure to follow her ever growing movement!